A radio ecosystem is an interdependent community of transmission providers, broadcasters, advertisers and listeners - all connected for mutual gain and to maximise individual outcomes. 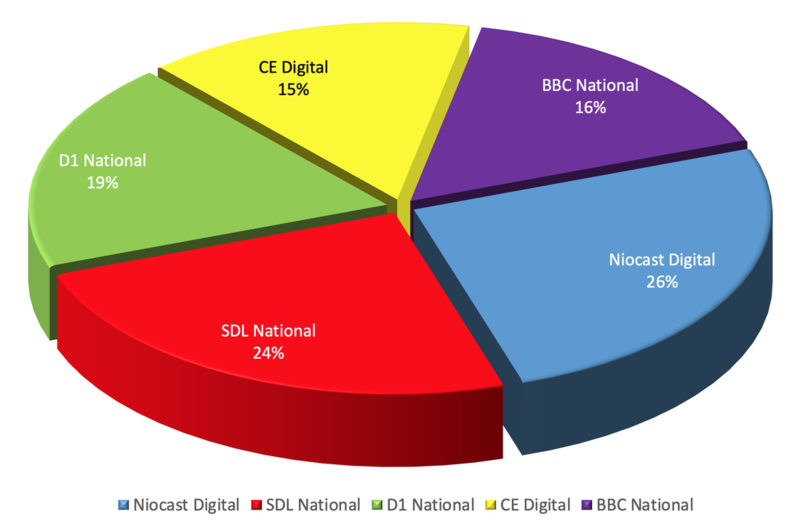 Since Sept 2015, Niocast has provided a digital radio platform in Manchester for a large number of pre-existing community & commercial stations as well as new broadcasters. 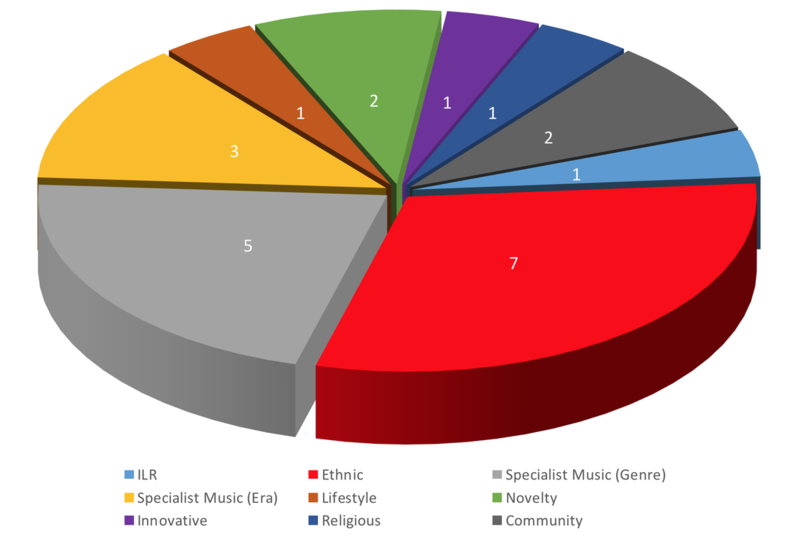 Red represents 'original flavour' DAB: Blue represents high quality DAB+ transmission.